Outsell announced today that the Star Tribune has named Outsell one of the Top Workplaces in Minnesota. The 2016 Top Workplaces special section was published in the Star Tribune on Sunday, June 26. The report can also be found at www.StarTribune.com/topworkplaces2016. Produced by the same team that compiles the 25-year-old Star Tribune 100 report of the best-performing public companies in Minnesota, Top Workplaces recognizes the most progressive companies in Minnesota based on employee opinions measuring engagement, organizational health and satisfaction. The analysis included responses from over 73,870 employees at Minnesota public, private and nonprofit organizations. 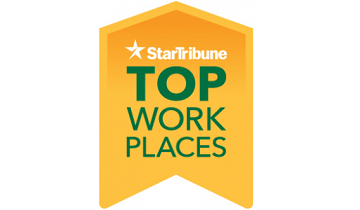 The results of the Star Tribune 2016 Top Workplaces are based on survey information collected by WorkplaceDynamics, an independent company specializing in employee engagement and retention. To qualify for the Star Tribune Top Workplaces, a company must have more than 50 employees in Minnesota. Over 1,555 companies were invited to participate. Rankings were composite scores calculated purely on the basis of employee responses.